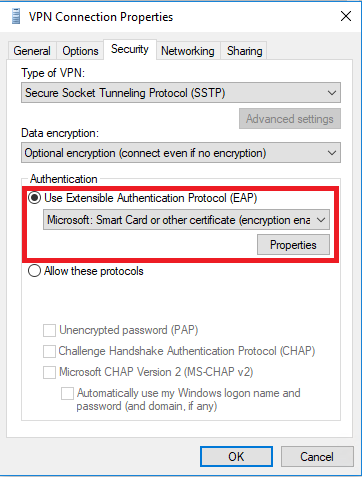 Azure point to site VPN uses SSTP (Secure Socket Tunneling Protocol) to establish VPN connection. The default port is on 443. 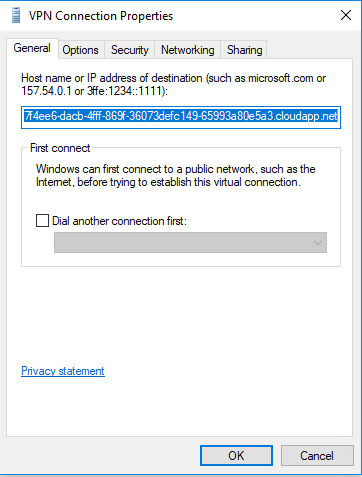 Today, I am going to show you how to manually setup a client using VPN client from Azure so that you can do more specific settings, like IPv4 settings for your test. Note: This is not an offical solution, you can use it just for test purpose. We create a VPN connection and use the default settings. After that, go to its properties and check the “General” tab. Make sure the address is FQDN of the Azure Network Gateway you created. Go to “Security” tab, choose “Microsoft: Smart Card or other certificate” option. And click “Properties”. On the “Smart Card or other Certificate Properties” tab, choose “Use a certificate on this computer”. Uncheck “Verify the server’s identity by validating the certificate” if you are using a self-signed certificate. 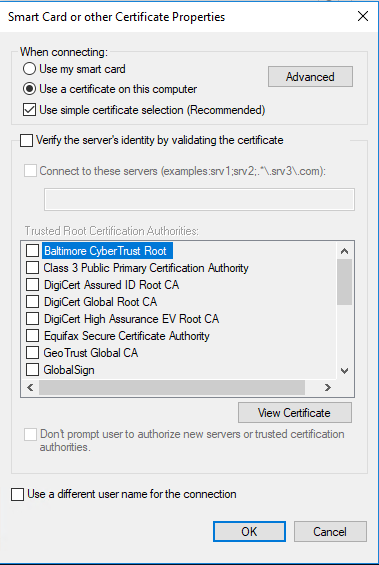 At the first attempt to connect, you are asked to choose your client certificate. Use FQDN of your Azure network gateway.